Sada, 06 Oct 2014Hi Guys, i have purchased this mobile on March Month it was good but its fell down once so dis... moreYes my mobile also fell down. Touch n Display very cost. Rs 8300. Am purchase these mobile on Jun 2014. In Aug'2014 my mobile fell down. Now last 5days mobile was Off n On automatically. Accesories was not available n toooooooomuch cost. i buy this mobile on feb 2013 after 7 months d bettery was crashed.thn i was complaint in service centre.no respond at all,like they even doesnt care.n this mobile accesory cant getting in open market nt even flip cover n service centre doesnt have that.this kind of fasciity de providing.till d 3 months no bettery was available in centre thn after completing 3 months de find out d bettery is nt removeble so i have to submit mobile again in sevice centre.what a fast respond i never seen in my life.celkon was d nightmare for me.so plz dont buy its any product thank you. hi....everything about this phone is wonderfull and its just crispy and a wonderfull clarity of camera and the full hd display along with the battery life and evrything internally....the only thing is the headphones which comes along is cheap and does not deliver that good sound....havent tried any other headphones with the phone though but the loudspeaker is good and not great. the worst problem is that i could not find a mobile cover for the mobile celkon s1 and its been two months now and not a single shop owner i found has a celkon cover for this phone.......can some one please help me and tell me where can i find the cover for the phone??? is it available in local market other than online shopping ? 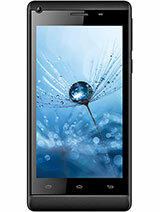 Superb looking phone in budget!.. AnonD-233637, 25 Mar 2014Even I was in same frame of mind when I checked this out in internet. After approaching Celkon... moreHad this celkon s1 been an innovative invention of Celkon, they would have proudly announced about its launch in the market. Isnt it?? Also, the point to be noted... Why this phone is not bearing the name 'CELKON' on it. I was greatly impressed by the stylish looks and of this phone but the actual facts disappointed me. sri, 22 Mar 2014Anyone wishing to view the unboxing video and review of this phone??? Then just type "Qsm... moreEven I was in same frame of mind when I checked this out in internet. After approaching Celkon I came to know that it was a innovation invention by them and all I thought was there might be many videos in the internet with same replica IDs but with a different name so cannot blame the original. This mobile is made by Chinese company Q smart dream D1, even specifications is not clear on celkon website,i have seen the pervious feeb back by sri, what he said is correct, you can also cheek on youtube. Anyone wishing to view the unboxing video and review of this phone??? Then just type "Qsmart Dream S1" in youtube search bar. I went to Big c and had a look at this mobile. I was surprised to know that nowhere the phone bears the name "Celkon". 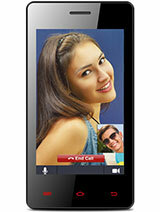 Instead of "celkon", the words "Qsmart Dream S1" were embarked on back of this phone. After reaching home, i searched for the same on youtube and found the fact that this is a pure china phone. 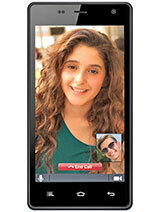 If you are looking for high features in economical price then go for Celkon S1 because this has more processor speed and high screen resolution than other mobiles. 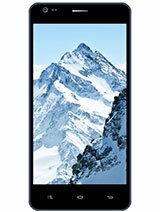 Vow this S1 is available again in the Stock in Snapdeal. I will book it today itself. 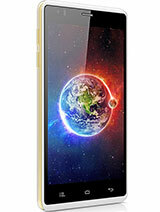 Total of 66 user reviews and opinions for Celkon S1.